‘Boro, as the pre-season, public (bookies as well) top favorite for winning Championship lie at embarrassing 22nd place with just one point more than bottom side (today’s opponent). Fans got what they wanted as Gordon Strachan faced the exit door and his place took the clubs legend and ex skipper Tony Mowbray (also fans’ wish). 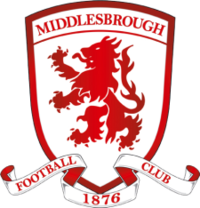 So they still possess great potential and with new manager syndrome and big support from the crowds, ‘Boro should start collecting points and climbing on the table. Also, Mowbray probably couldn’t wish a better opponent for the start of his era at Riverside. Only doubtful is Julio Arca. Defender Justin Hoyte is still sidelined, while midfielder Thompson has recovered from an injury. ‘Boro lost just twice in last 30 home encounters against City, winning 22. The Robins are almost in the similar position as Middlesbrough (except they were tipped for play-off, not direct promotion). They’re on the bottom, hardly showing any sign of possible improvements. They made 2 decent results in last two rounds however (both at home), defeating Reading 1-0 and holding on a draw QPR 1-1. But, away record looks terrible as they won just once of six (Scunthorpe 2-0) and conceded 3 times in both of last two. Defense line is far from being tough that characterized the team in previous seasons, while David James is just a shadow from him in past few years. Also, his statement that he was drunk when he accepted to come in Bristol surely didn’t improve the dressing room atmosphere. 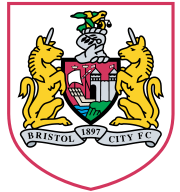 Midfielders, Cole Skuse and Jamal Campbell-Ryce, are facing a late fitness test while defender Christian Ribeiro is definitely out. I expect a very positive reaction on the Mowbray’s appointment, from the players and from the fans as well. Squad has great potential and I expect them to start showing it. City won’t relegate, soon will move away from the bottom but I don’t give them too much chances today. They’re simply at the wrong place in the wrong time. 2-0 correct score.